Product prices and availability are accurate as of 2019-04-23 09:19:10 UTC and are subject to change. Any price and availability information displayed on http://www.amazon.com/ at the time of purchase will apply to the purchase of this product. 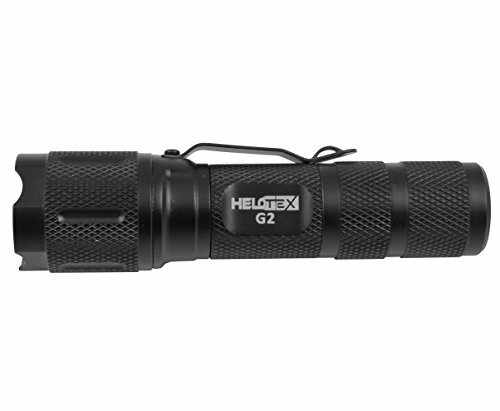 The Helotex g2 flashlight from gun shack features dual power capability to run either on a single AA or cr123 battery. 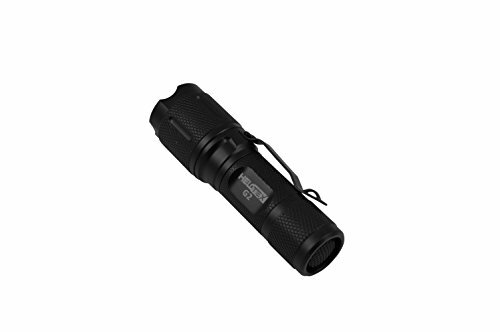 The unit features a Cree xr-e q4 LED for an incredible output of 130 lumen. 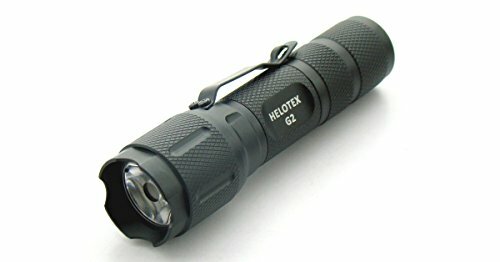 The flashlight features a tactile click on/off button on the rear of the flashlight. 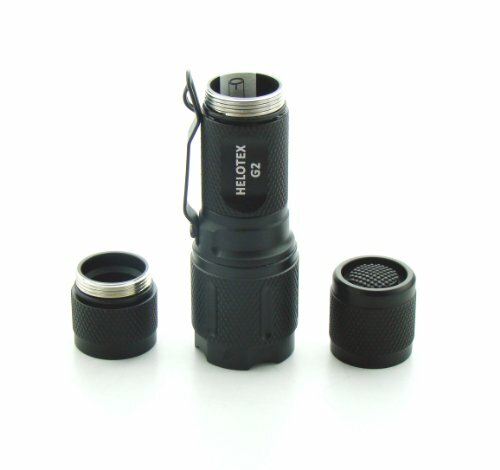 Once turned on, the user can toggle between high, low and strobe functions with a quick tap of the on/off button. After turning the light off for 1 second, it will revert back to high the next time it is turned on, regardless what the previous mode was. 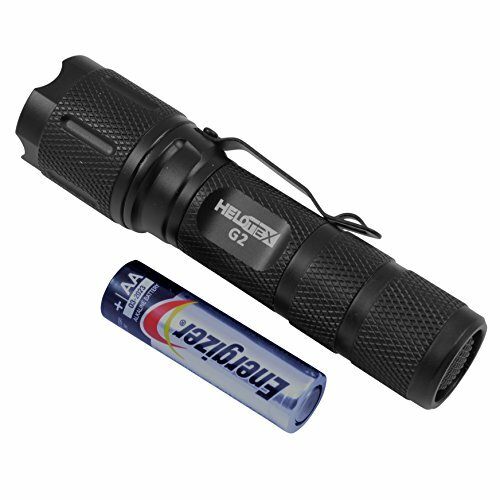 The flashlight is constructed of anodized 6063-t6 aircraft aluminum and features O-ring seals on all parts for optimum weather resistance. 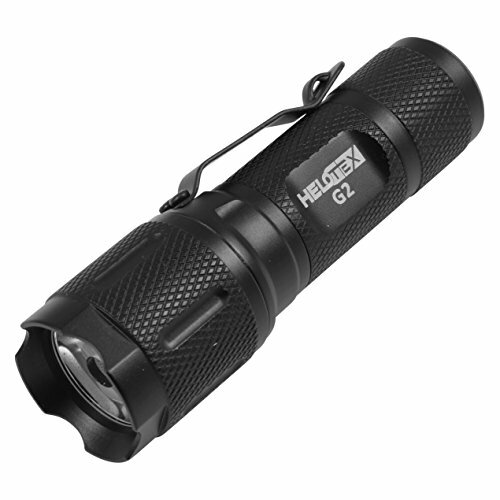 The new design maintains the same ultra bright light output on high but now offers the flexibility of a true low output setting suitable for close up work. 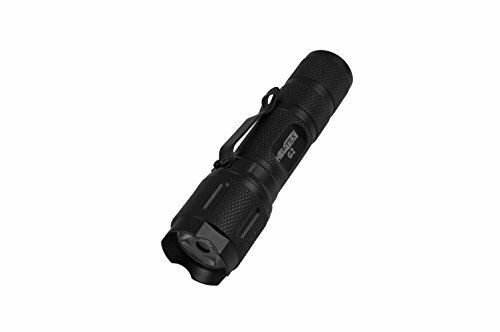 Output: 120 lumen (aa) or 130 lumen (cr123) led: Cree xr-e q4-bin LED life: 50, 000 hours battery life: 1 hr (aa) or 2 hr (cr123) modes: 3 (high, low, strobe) length: 4.2" (aa) or 3.6" (cr123).